﻿ Best Price on Hotel Arenal Volcano Inn in La Fortuna + Reviews! 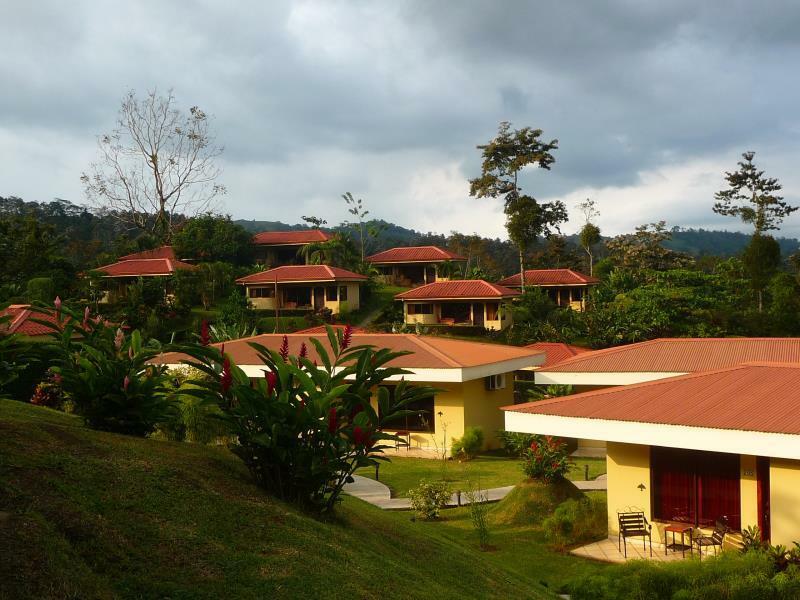 Have a question for Hotel Arenal Volcano Inn? 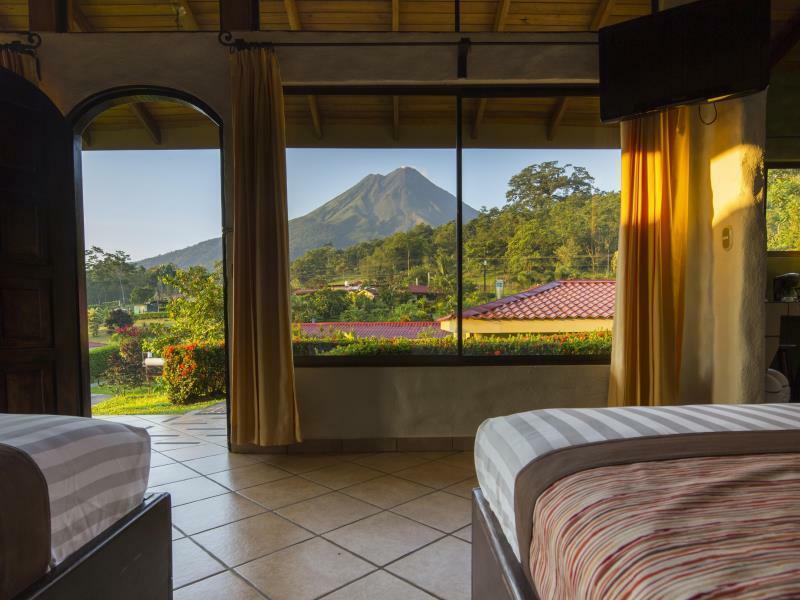 Built in 2005, Hotel Arenal Volcano Inn is a distinct addition to La Fortuna and a smart choice for travelers. The hotel is not too far from the city center: just 6.5 Km away, and it normally takes about 150 minutes to reach the airport. With its convenient location, the hotel offers easy access to the city's must-see destinations. 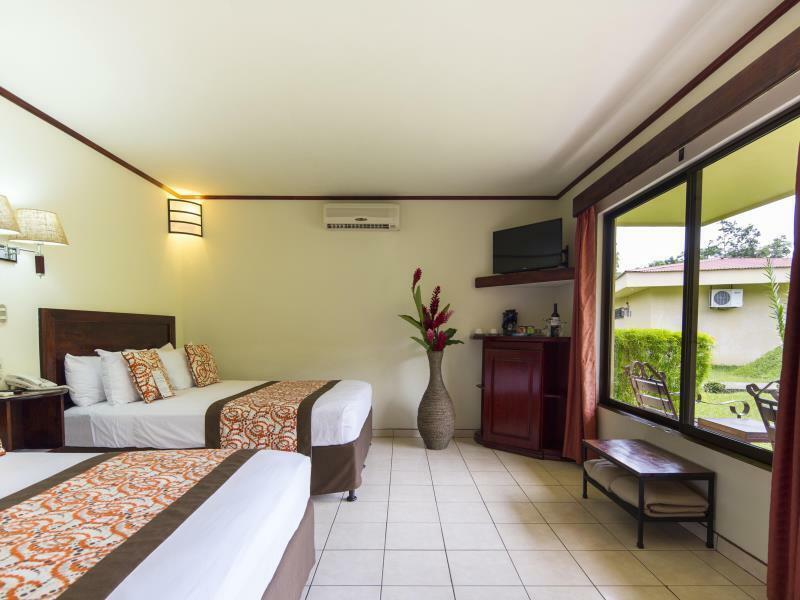 At Hotel Arenal Volcano Inn, the excellent service and superior facilities make for an unforgettable stay. Top features of the hotel include free Wi-Fi in all rooms, facilities for disabled guests, Wi-Fi in public areas, car park, room service. In addition, all guestrooms feature a variety of comforts. Many rooms even provide television LCD/plasma screen, internet access – wireless (complimentary), non smoking rooms, air conditioning, wake-up service to please the most discerning guest. The hotel's recreational facilities, which include hot tub, outdoor pool, spa, massage, pool (kids) are designed for escape and relaxation. Whatever your purpose of visit, Hotel Arenal Volcano Inn is an excellent choice for your stay in La Fortuna. Friendly staff in a nice and clean hotel. We enjoyed our stay at Hotel Arenal Volcano Inn. We stayed here at the end of August 2014 in a deluxe cabin. The room was quite basic but spacious and clean. The lights in the room were bright and actually a bit annoying, but we made our own lampshade and that made the room a lot nicer to stay in. In the morning we woke up to the most beautiful view of the volcano, cloudless top ! Lots of flowers in the garden make that we saw lots of hummingbirds around. The restaurant next door (Italian) served great pizzas. Friendly staff and nicely maintained grounds. Close to La Fortuna and many excursions. The room size was average with good views but the beds weren't very comfortable.